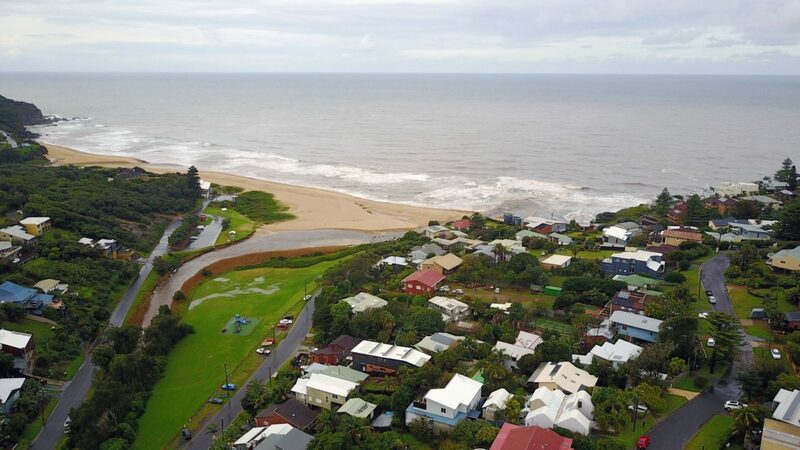 Wollongong City Council has agreed to stop work on construction of the Grand Pacific Walk through Stanwell Park while they further investigate residents claims the route should not pass along Murrawal Rd. 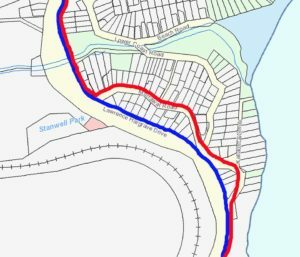 Stanwell Park residents have united to oppose the plan to take the new Cycleway (GPW) along the residential street. The plan, already in progress, sees a 2.2 meter wide concrete cycleway built along the existing footpath of the road, which locals say is too narrow to support an increase in foot-traffic or pedal-power. The path is a section of the 60 kilometer walk/cycleway currently under construction to connect the Royal National Park to Lake Illawarra. It will be also be used for the City to the Gong Bike Ride, which sees 10,000 cyclists pass through in early November. More than 30 locals have formed the Stanwell Park Residents Group. They’ve met with Councillor Janice Kershaw to voice their concerns, which include fears over flooding. One local and group-member says when it rains heavily, water gushes from Mt Mitchell along the road and down through properties. The existing grass verge helps to slow down and absorb the flow but this won’t be the case if the footpath is concreted. There are also safety concerns, with Murrawal Rd’s concealed driveways, blind corners and steep driveways to contend with. Councillor Janice Kershaw has supported residents concerns and at Monday night’s meeting was successful in putting a halt to the project. 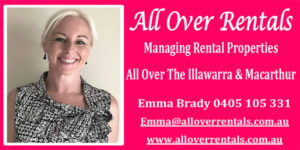 Local residents want the work permanently re-routed, and are calling for Murrawal Rd to be permanantly de-scoped from the GPW plan.